Uttar Pradesh Higher Secondary Board of Education has been announced the UP Board 12th Intermediate Results 2012 today sharply at 1.00 PM 5 June, 2012 on the official website of Uttar Pradesh Board Results maintained by national informatics center upresults.nic.in. Students appeared in UP Board 12th Examination 2012 can check their exam results 2012 now on official link and alternate links. 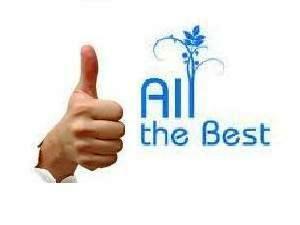 The wait is over and the results of UP board XII Class Exam 2012 is available now. Mostly, this time website has gone down due to high amount of traffic and results load so if in case when website is not open or showing some error then don’t worry you can check the results after some time when site again live.